Takegawa 178cc Hyper S-Stage Bore Kit - Z125 Pro Click to enlarge Takegawa 178cc Hyper S-Stage kit for the Kawasaki Z125 Pro designed for use with stock cylinder head. Skirtless cylinder and piston kit design allows big displacement without case boring. 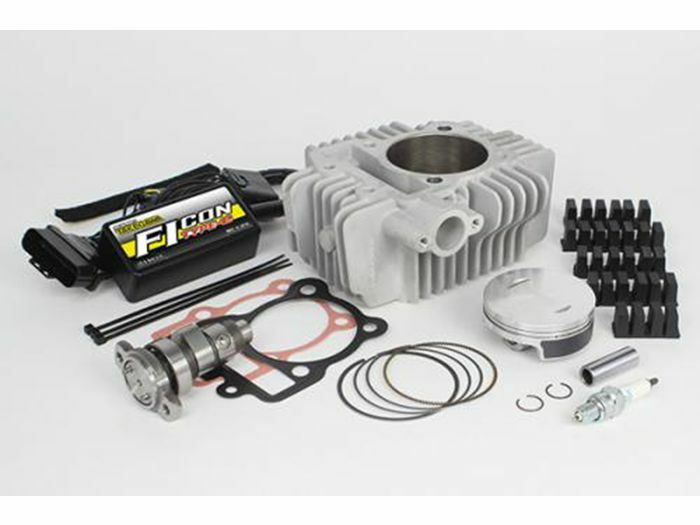 Full Hyper kit includes SCUT ceramic coated cylinder, skirtless piston, rings, gaskets, N20 high lift camshaft, and Takegawa FI-Con Type E smartphone and Bluetooth enabled fuel controller.